Picture it. You’ve worked in the office for many years and have put up with your mean co-workers comments and nasty boss – all for what, one tiny raise since you started working there? You’ve reached your breaking point and are ready to go… well…. postal! That’s exactly what you do in Skull Kid 1. 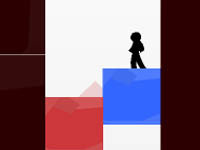 Take down your mean co-workers and try to make it all the way to the end to face that nasty boss once and for all. Skull Kid 1 has a few basic controls players need to familiarize themselves with. Your main controls to move Skull Kid around the office are your left and right arrow buttons. 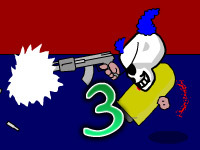 Use the spacebar to use the chainsaw and pistol weapons in each level, and use the up and down arrow button to stand up or duck down out of harms way while shooting your pistol. 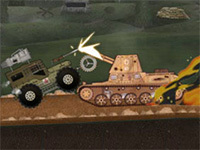 In addition to these controls, you can also press the S key to toggle the game music on or off, and use the number keys to adjust the graphics quality. Press 1 to set the graphics to low quality. Press 2 to set the graphics to medium quality. Press 3 to set the graphics to high quality. Press 4 to set the graphics to smart quality, which will automatically set the graphics to low while moving and high while standing still. 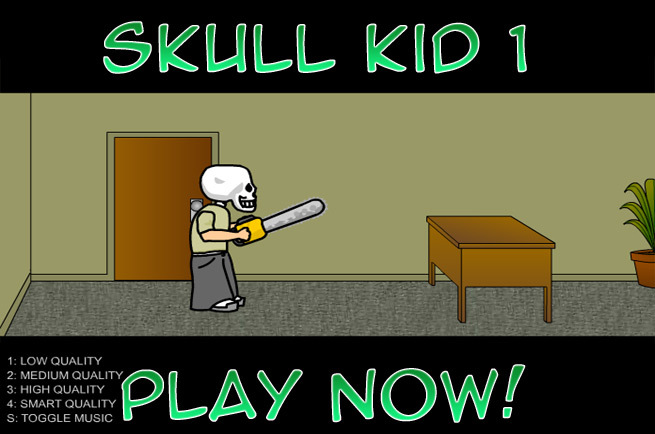 Skull Kid 1 is the perfect game to kill a few minutes of spare time. 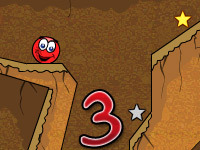 It only features three levels, however each level is progressively more difficult than the last! In level one, you are equipped with a chainsaw. 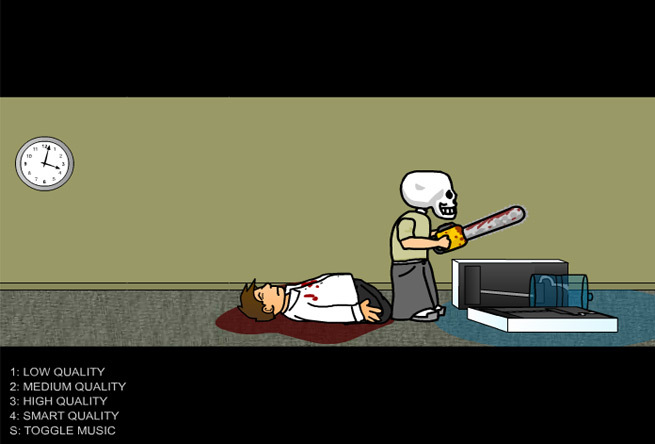 Using the chainsaw, walk as close to the objects standing in your way as possible and press the spacebar. Continue pressing the spacebar until the object is successfully sliced in half. In level two, Skull Kid is carrying a pistol. 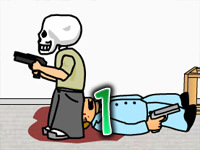 Using the pistol, kill off your former co-workers one by one. But watch out! They will shoot back! Keep an eye on your health bar located at the top right corner of the screen and be sure to duck down as much as possible so you don’t get shot! Level three is the boss. 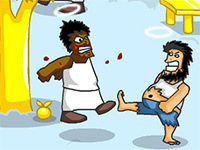 Sneak up to the boss as close as you can and put him out of commission – permanently!